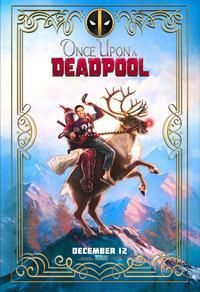 Version censurée de Deadpool 2. If you've seen DEADPOOL 2 already, there's no real reason to see it. It's a PG-13 "Deadpool 2," but the highlights are new interstitials with Reynolds and Fred Savage. But if you do end up seeing "Once Upon a Deadpool," be sure to stay through all of the end credits.